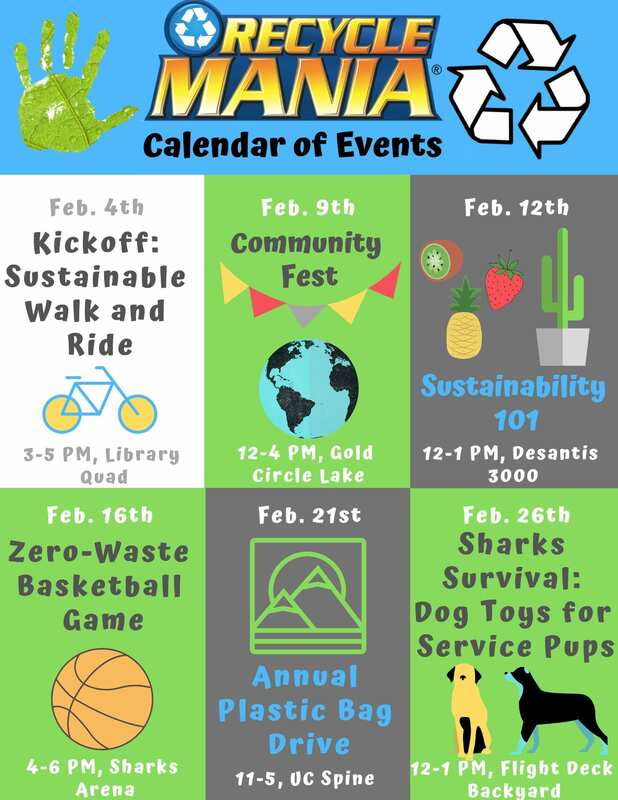 Recyclemania is an eight week national competition to see which university across the country can collect the most recycling while reducing trash production. This year, we are aiming to decrease our trash production by 10% while increasing our recycling amounts by 10% as well! Lets Go Green NSU! For more information, contact Megan Knights.